We are pleased to welcome our latest team member, introducing Robert McQuillan our new Escorial Sales Director. Read our question and answer to find out more about him. 1. How long have you been working in the Textile industry? The start of my career within the textile industry began at a young age where I worked for a large mill in Bradford, coinciding with my academic studies of achieving a BTech in Textile Design. 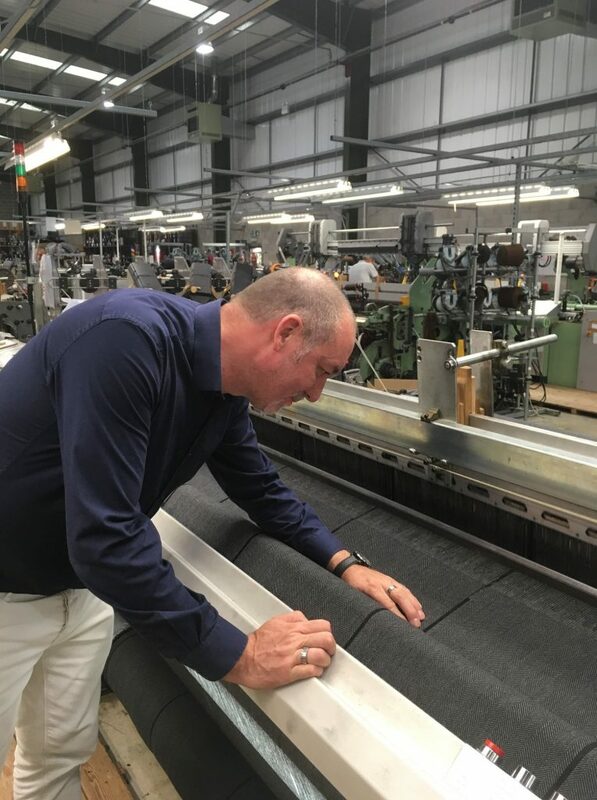 Throughout the past 32 years within textiles, I have developed within many areas of the industry; from designing of fabrics, to brand sales director, the passion for ‘made in England’ products remain, with the same strong ethos. 2. What are you looking forward to the most about working with our team for Escorial? I am looking forward to working for the brand itself, I have been aware of Escorial from the beginning and believe it is developing into a fantastic, iconic brand. It is an honour to be working with such a great team, and an exclusive brand that I am eager to be globally promoting and offering such luxurious and unique products. 3. What future plans do you see for the Escorial brand? I see the brand building from strength to strength and becoming globally recognized as one of the best in the world.